4464 HXB Normal series since 2007. 2014 onwards plate style. 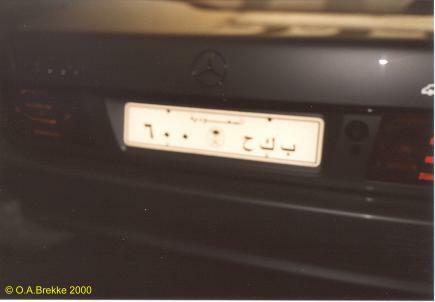 White centre panel with black circle = Private cars. 4464 HXB Close-up of the above. 297497 Normal series c.1978-96. 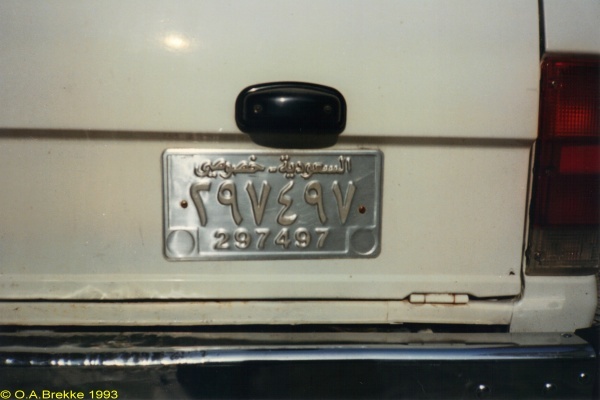 Serial below 1 000 000 = Private vehicle, Central area. 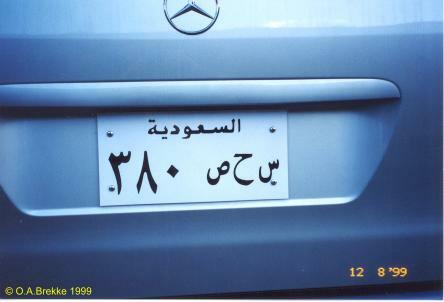 The Arabic text apparently means "private vehicle - Saudi Arabia". Colours should be black on white, but the driver of this vehicle said he'd been in a sandstorm that stripped the paint off the plates. in the Arabic way of reading. 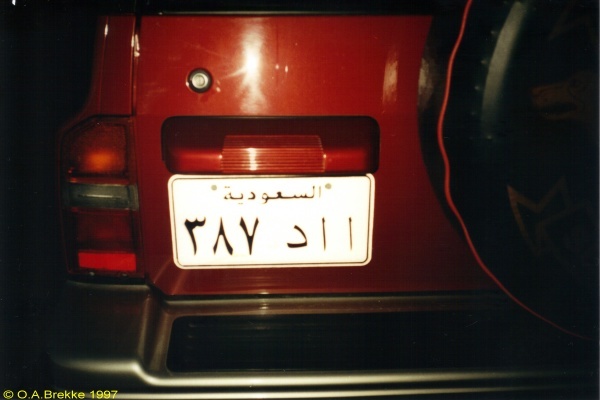 The text السعودية means Saudi Arabia. This appeared to be a replacement plate made of plastic. بكح ٦٠٠ Close-up of the above.